Rancho Los Amigos National Rehabilitation Center, one of the nation’s leading hospitals for rehabilitative medicine, is beginning a $418 million state-of-the-art renovation, known as Rancho Rising 2020, which will significantly enhance the care offered by the jewel of Los Angeles County’s healthcare system. The needed upgrade secures Rancho Los Amigos’ future as a top-ranked rehabilitation hospital with technologically advanced facilities, expansion of clinical and research initiatives and increased accessibility for patients and the community. The first phase of construction, scheduled for completion in 2016, will result in a new Wellness & Aquatic Therapy Center, including a new therapy pool, which will increase Rancho Los Amigos’ capacity to provide physical therapy. The second phase includes needed seismic safety and facility renovations, construction of a centralized entrance and refurbishment of the historic Harriman Building. The renovated structures will allow the Los Angeles County Department of Health Services facility to better meet safety, ADA and privacy requirements. Phase two will be completed by 2020. Supervisor Knabe and Rancho Los Amigos CEO Jorge Orozco, PT invite the media and public to the Rancho Rising 2020 groundbreaking ceremony, which will take place on August 19, 2015 at 10:00 a.m. Supervisor Knabe, along with the Department of Health Ser vices and Chief Executive Officer, is also advocating federal legislation to expand the partnership between LA County and the U.S. Department of Veterans Affairs (VA) to provide health care to veterans Rancho Los Amigos and other non-VA facilities. H.R. 4810 and H.R. 3230 are currently pending in the U.S. Congress. The bills would provide quicker access to care for veterans who experience long wait-times at VA facilities and would allow veterans to choose non-VA medical facilities and have access to services closer to their homes. In addition to H.R. 4810 and H.R. 3230, another congressional bill is pending in Congress (Preserving Rehabilitation Innovation Centers Act of 2015, H.R. 2292) that would designate Rancho Los Amigos a Rehabilitation Innovation Center, highlighting the unique role played by Rancho and other facilities in the provision of quality rehabilitative care and advancing the field of rehabilitation medicine. If the bill passes, the new facilities will complement this new status for Rancho Los Amigos, which would qualify it for higher Medicare payments to cover additional costs for complex Medicare patient care, research, and training that currently takes place at the county hospital. Jacobs Engineering Group is leading the construction project, and Taylor Design/SmithGroup JJR is the architectural firm charged with designing the new buildings. Gensler is the scoping document architect. The hospital will remain open and fully functional during the 5-year construction process, all of which will take place on the 48-acre northern portion of Rancho Los Amigos’ Downey location. Rancho Los Amigos is the only Los Angeles County Department of Health Services hospital that provides specialized care for persons with disabilities, including spinal cord injuries, brain injuries, orthopedic disabilities, strokes, neurological disorders and physical and developmental disorders. Rancho Los Amigos cares for 4,000 inpatients and services 71,000 outpatient visits each year. The Rancho Rising 2020 telephone hotline will be available for questions and comments in English and Spanish, 24 hours a day, 7 days a week throughout the duration of the construction, and can be accessed by calling 562-219-4771. Los Angeles County and the John Wesley Community Institute Incorporated (JWCH) will partner together to open a new health facility in Hacienda Heights to provide under-served residents with health services, thanks to a motion by Los Angeles County Supervisor Don Knabe. The Board of Supervisors unanimously voted today to allocate $400,000 to assist with renovations and startup expenses at an existing medical building located in Hacienda Heights. JWCH will use the facility to provide primary care, substance abuse, HIV and mental health services, and more to residents throughout the surrounding areas. JWCH is a private non-profit health agency that has contracted with the County to provide a variety of valuable programs such as: primary care, medical outreach and referrals, HIV treatment and prevention services, drug treatment, health education, psychosocial assessment, and intervention. The location of the new health clinic will be announced at a later date. Los Angeles County Supervisor Don Knabe yesterday called for the County, its unions and partners to begin development of a marketing campaign to educate the public about the County’s health system in advance of the roll-out of the Affordable Care Act (ACA) in January 2014. Since its passing, the County’s Health Services Department has been aggressively preparing for the ACA, including addressing operations and technology required under the new mandate. The ACA is expected to make healthcare coverage available to up to half of the County’s roughly 1.8 million uninsured people. With unanimous approval, the Board directed the CEO, in conjunction with the County’s Health Services and Public Social Services departments, labor unions, USC and UCLA, and other partners to develop a comprehensive strategy to explain the County’s public-private health care system to residents and potential enrollees. LA County has the second largest public health system in the country with a $3.5 billion annual budget. Every year, the County sees 2.9 million outpatients. Sixty-four percent of those who come to County facilities are uninsured. South Whittier, August 15, 2012 – August is Children’s Eye Health and Safety Month, which is also the time when families begin to prepare for the new school year. The UCLA Mobile Eye Clinic, a 40-foot-long coach, made its way to the Community Resource Center (CRC) to provide basic eye exams for 30 low-income children. Patients were tested by the eye clinic’s Ophthalmologist and Optometrist, received free prescription eyeglasses as well as referrals for future treatment. The UCLA Mobile Eye Clinic provides high-quality eye care to underserved populations—particularly children and the elderly—who lack access to health care as a result of finances, lack of transportation, or cultural and language barriers. “Teaching children to protect their eyes is an important early lesson toward a lifetime of healthy vision. It is vital to educate parents on the importance of their children’s eyes, especially with the first day of school just around the corner. We want all our children to be star students in the classroom,” said Los Angeles County Supervisor Don Knabe, who represents the area. The UCLA Mobile Eye Clinic, established in 1975 by an anonymous donor, remains a privately funded outreach program operated by the Jules Stein Eye Institute. Their mission is to discover eye diseases or eye problems and try to get people connected to the care they need. Each year, the UCLA Ophthalmologists provide 4,000 children and 1,000 adult examinations free of charge. In addition, they also provide 1,500 vision and glaucoma screenings at community events, and supply 400 free prescription glasses to underserved children. A project of the Community Development Commission of the County of Los Angeles (CDC), the Community Resource Center is funded by the Fourth Supervisorial District, and works in collaboration with its onsite service providers to offer health, wellness, and educational programs for families, seniors, and youth. The CRC is located at 10750 Laurel Avenue in South Whittier. For information on services provided by the CRC, please call (562) 946-2425, or visit the website at www.swcrc.org. All media may contact Elisa Vásquez, CDC Public Information Officer, at (323) 890-7415. Los Angeles County Supervisor Don Knabe will join Rancho Los Amigos National Rehabilitation Center officials to unveil and host a demonstration of the hospital’s new Paramobile Golf Chairs. A golf clinic led by Supervisor Knabe and Paramobile Inventor Anthony Netto will be held for Rancho patients using the Paramobile Golf Chairs following the event. The Paramobile, originally designed for disabled golfers, allows for the therapeutic benefits of golf for physically limited players. The Paramobiles will be a key element in establishing Rancho’s future golf clinic and will help improve the self-esteem and promote community reintegration for the hospital’s patients. Wednesday, July 18, 2012; 10:00 a.m. Presentation of Paramobile Golf Chairs; 10:15 a.m. The Los Angeles County Board of Supervisors approved a motion to implement reforms to the Physician Services for Indigent Program (PSIP) on a motion by Supervisor Don Knabe. Through the PSIP, doctors at private hospitals are compensated when patients cannot pay. Due to insufficient funding, exacerbated by the State pulling its support, the Department of Health Services froze its payments to doctors. To address the immediate threat to the program, at its meeting last week, the Board approved a reduction in the rate paid to doctors, reimbursing them at twelve percent of the cost. Through Knabe’s motion, the Director of Health Services will be authorized to reset interim payment rates going forward. He has also been directed, with the assistance of the CEO and Auditor-Controller, to implement the remaining recommendations in the Auditor-Controller’s report of March 11, 2011. 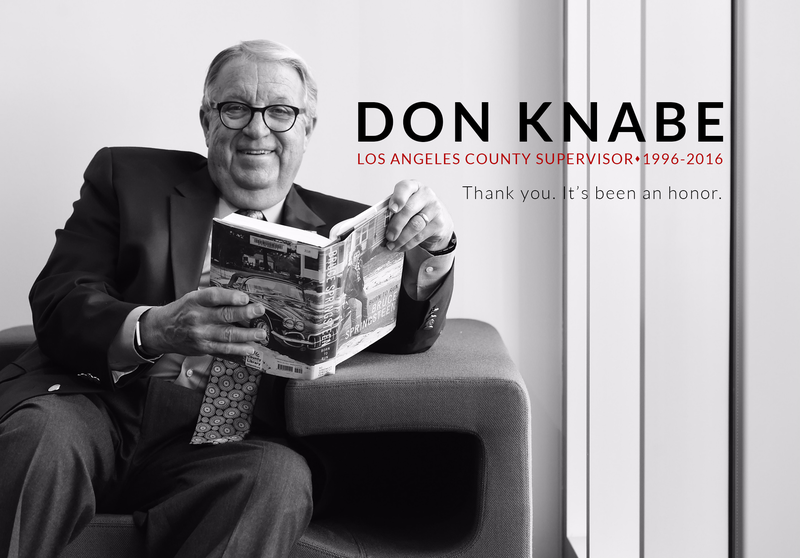 “We must take the next step forward in improving our operations and how we manage emergency healthcare so that all residents of LA County who must visit an emergency room can expect the availability of services and quality they deserve,” said Supervisor Knabe. Rancho Los Amigos National Rehabilitation Center has been ranked the top Rehabilitation Hospital in California in the annual U.S. News & World Report “America’s Best Hospitals” survey. This is the 22nd consecutive year that Rancho Los Amigos has been named one of “America’s Best Hospitals” in Rehabilitation Medicine in the prestigious rankings. Rancho was rated 8th out of the138 hospitals in Los Angeles and Orange County in U.S. News & World Report’s metro Los Angeles County/Orange County rankings, and 18th nationally. Rancho treats more approximately 4,000 rehabilitation and medical/surgical inpatients and nearly 80,000 outpatients each year, more than any other rehabilitation facility in the state. Rancho Los Amigos National Rehabilitation Center has been named to the 2011 U.S. News & World Report “America’s Best Hospitals” list. The world-renowned facility ranked 7th out of the 138 hospitals ranked in Los Angeles and Orange Counties and was the only rehabilitation hospital listed. Rancho, one of five hospitals in the Los Angels County Department of Health Services family, has been ranked one of America’s best hospitals for 21 consecutive years since the inception of the U.S. News & World Report survey in 1990. It is the only County operated hospital to appear in the top ten. The U.S. News ranking differs from other rankings by looking at how well a hospital handles complex and demanding situations and involves surveys completed by 10,000 physicians worldwide. A total of 4,852 hospitals were considered for this year’s survey, but only 152 hospitals were ranked in one of16 specialties including rehabilitation, cancer, heart and heart surgery, kidney disorders, urology, neurology and neurosurgery. Scoring criteria included reputation, mortality index, patient safety, and care related factors such as nurse staffing, and available technology, however in the ophthalmology, psychiatry, rehabilitation and rheumatology specialties hospitals were ranked on reputation alone. Of the 152 hospitals ranked in one or more specialties, 14 qualified for Honor Roll by earning high scores in at least six specialties. Rancho offers a full spectrum of both inpatient and outpatient rehabilitation services. The hospital has been a leader in advancing rehabilitation medicine for more than half a century, including the introduction of the first ever halo, used for neck injuries. Rancho serves an average daily inpatient population of 147 persons and experiences approximately 57,000 outpatient visits annually. The hospital is also renowned for its tradition of research leadership.